KC-360B-2 Video inspection has been designed as a user friendly and economical way of solving hidden problems and increasing productivity. (e.g. Inspect vent pipe and system of air conditioner, machine equipment, engine and so on).It’s easy for you to make fast diagnosis of equipment, welding, loose parts etc, which can help you to trouble shootting, save the cost, improve the efficiency of your work. KC-360B-2 with3.5 "high resolution full color LCD screen andclear image. The camera head of the probe with adjustable LED lights, which helps you to reach gaps and holes. The camera head can equip with several accessories, which makes it flexible. The magnetic tip is used to pick up small metal objects. The mirror tip is easy to view the 90° angle. The hook is used to grab onto objects. 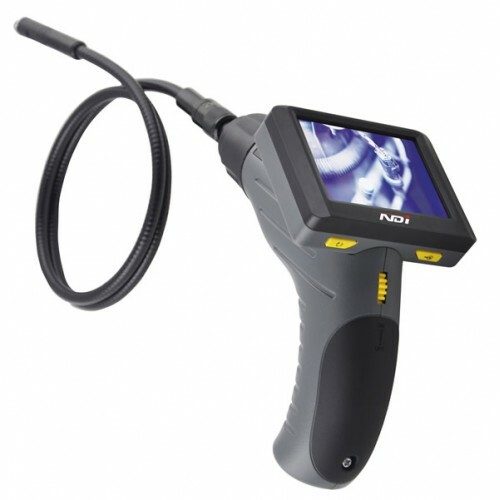 The product has features of 2X image zoom and 180°image rotation. It also has the advantages of small size、clear image、stable performance、easy operation and portability. It is widely used in applications such as the industry, the building, the aviation, the vehicles maintenancem,mining industry,archaeology and etc.It can provide excellent performance for your observation, It become as a right-hand man in your daily work and equipment maintenance.